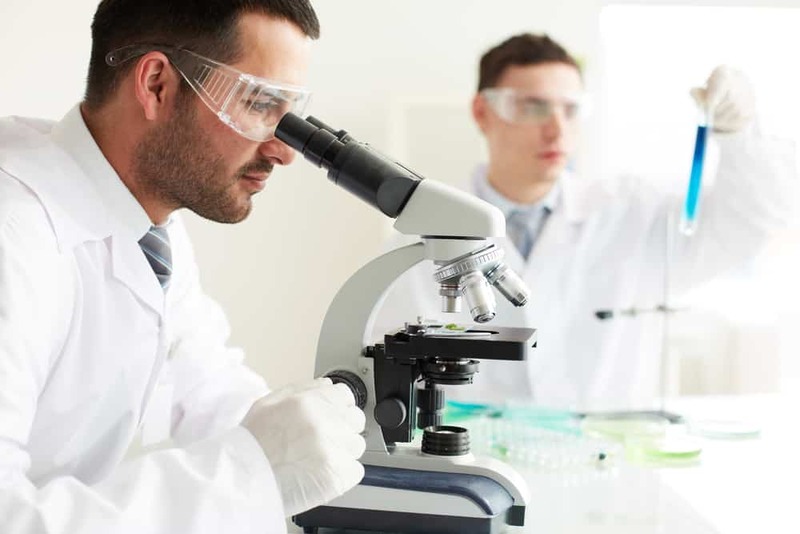 Faith and science: are the two ever compatible? Can they complement each other, with one kicking in where the other leaves off? Last week I wrote this piece about dyslexia. It’s something I happen to know about because I did a stint as a writer for a hi-tech company that produced software to lessen the effects of dyslexia. Before I did any writing, I was given a crash course in dyslexia by the fellow who designed the software. Jose was a cognitive neuroscientist. But like me, he was someone who believed in a Higher Power. As such, he always liked to offer me both the scientist’s perspective of things, as well as the viewpoint of the God-fearing. I respected that: someone in love with science, who was still able to profess faith in God. The two ideas didn’t have to be at war with each other. It was possible to devote one’s life to figuring out the science behind observable phenomena while still acknowledging the limits of what humans can understand and accomplish. I thought that took both guts and humility. The paragraph in question referred to the fact that scientists have found brain centers for speech, movement, vision, and hearing. But they haven’t found a brain center for reading. This suggests that reading is a combination of several functions and that in the act of reading a person will call on a variety of different neural pathways (as opposed to a single neural pathway as for most important functions) to accomplish the task of reading. David, my colleague, wondered how it could be that God had given man the gift of letters, words, and text, without providing him with a brain center specific to reading. He didn’t agree—didn’t believe it possible. On reading David’s note, I remembered something Jose had said that gave me the perfect response to David’s question. For me, at that point, alight with the wonder of the science of reading, this was a mind-blowing statement from a brain scientist. I repeated Jose’s words to David and I also clarified my overview to reflect the idea, thanking David for reminding me of this important distinction regarding the gap between what scientists have thus far achieved in comparison with what we still don’t know about the world we live in. But you know what? Not all scientists are as humble as Jose. 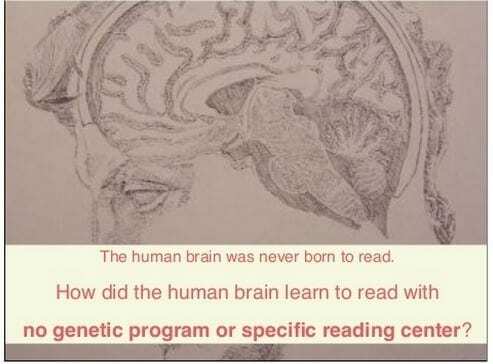 Some of them think that because they can’t identify a brain center for reading, it doesn’t exist. They’re just that good. Wolf has based her work on what has thus far not been found. Jose, on the other hand, is open to the idea that progress takes time. Once upon a time we believed the earth was flat. We believed in alchemy. Now we know better. We know things that stand in direct opposition to what we thought we knew before. When I was born, women were discouraged from nursing their babies. By the time I became a mother, bottle-feeding had become a dirty term. Putting a baby on his stomach: no longer okay. Thanks to science, we know so much, and yet there is so much we don’t yet know. We don’t have a cure for the common cold. But a lot of the time, we can lick breast cancer. We don’t know why some phenomena exist. A scientist cannot, for instance, tell us why the world exists. Posit a theory based on religious beliefs and most scientists will laugh at you. How typical, they will say, of humans. Whenever humans can’t explain things, they turn to God, because God is unknowable, so one can’t prove Him either right or wrong. A lot of what we do as parents still comes down to instinct. A doctor will tell you something about your child and it just doesn’t sound right. Sometimes you decide to follow the doctor’s advice, but you never quite feel okay about that. Sometimes you’ll go with your instinct, and there too, will be uncertainty. Do we trust parental instinct over a medical doctor’s advice? Now let’s think about how that applies to advice you get from a teacher or school official regarding your child’s academic performance. Have you ever received a school report that made your antennae begin to vibrate? Something you knew didn’t sound like your child. Something that told you there was more to the story? ADHD is currently classified as a mental illness. Are we really supposed to think of ADHD as an illness because the medical profession says so? Are we supposed to think of dyslexia, for instance, as a learning disability as opposed to a learning difference? Your parental instincts are there for a reason. The scientists, doctors, and education experts don’t know everything. 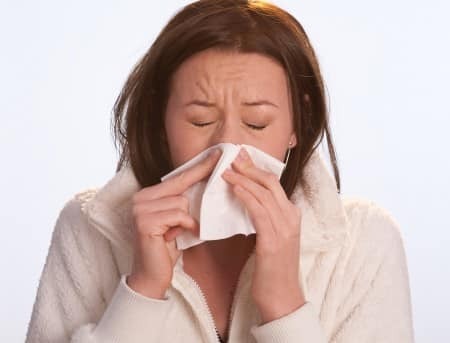 Moreover, what they “know” may be disproven at some later point in the future—like the old advice about using rubbing alcohol to bring a baby’s fever down—it doesn’t work and it’s dangerous. Alcohol can be absorbed through the skin. Science is amazing and satisfying. But despite the bland assurance of scientists that one cannot argue with science, science is fallible, it evolves, it’s a process. Science can’t answer all the questions and never will. And that’s why faith and instinct will always accompany science, no matter how much we learn. Next Next post: Video: Black Friday 2014. Is This What You Want Your Children To Learn?